iRunFar is an online magazine and community dedicated to trail and ultra running. 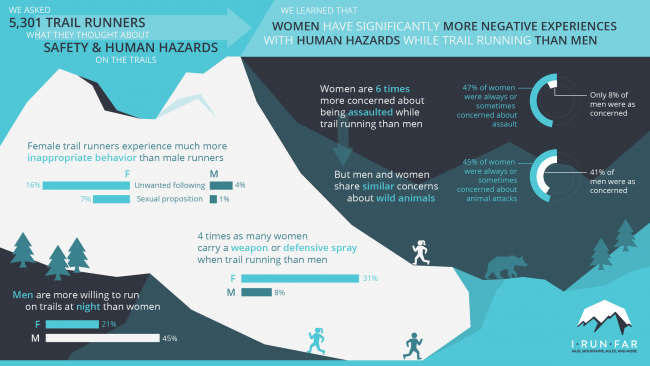 In 2018 they conducted a survey to investigate runners’ perceptions of and attitudes towards safety while running on trails and roads. I was commissioned to produce a graphic to summarise key findings of the survey, to be published alongside an in-depth article exploring the results. The graphic was also used on social media to publicise the article.